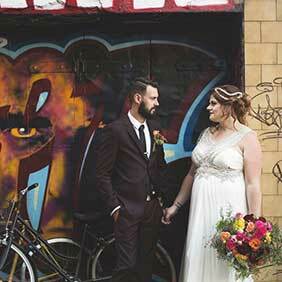 This beautiful 'Twenty One' design comes to us from independent Aussie designer Brynie Ladds. 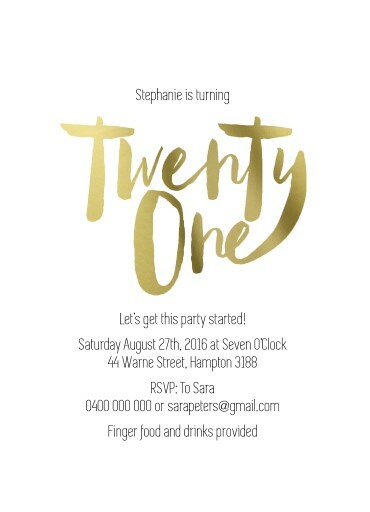 It is a fabulous and glamourous 21 birthday invitation, inspired by the sun that keeps shining to light up the world. 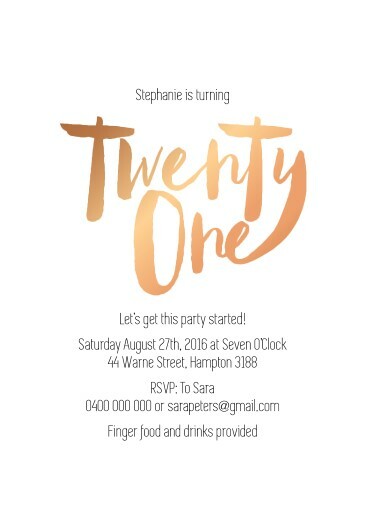 It is a simple birthday invitation, perfect for anyone looking for a fun birthday invitation design. These 21st invitation templates look incredible when foil Stamped, and here at Paperlust we think it looks best on Paperlust Cotton 300GSM or Double Thick 600GSM. 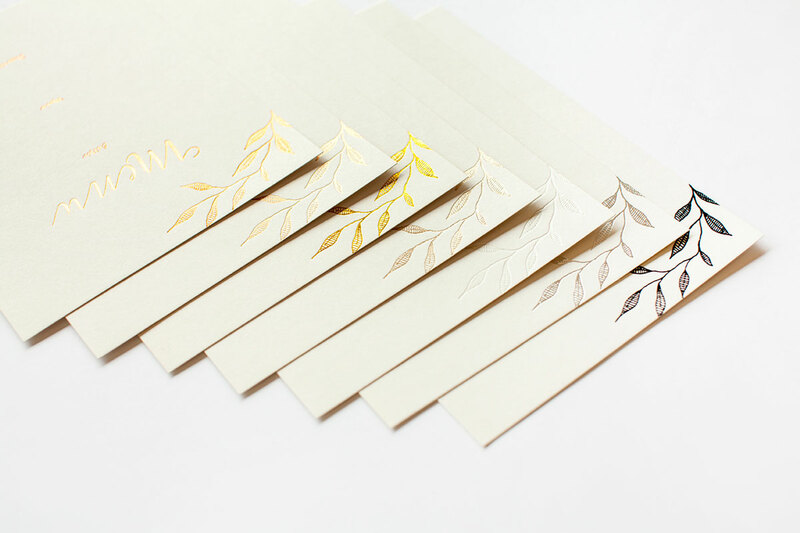 Paperlust is your home for foiled invitations Australia, with premium print quality at an affordable price and with a fast turnaround time. 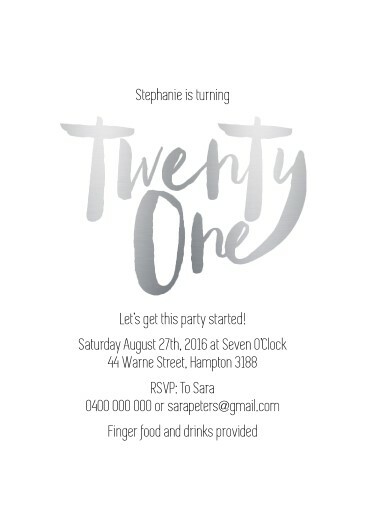 These elegant birthday invitations are perfect for any 21st birthday boy or 21st birthday girl, and are neutral enough to work alongside a huge range of 21st party themes and 21 birthday ideas. Once you've got your invites sorted, you can worry about the important things, like combing through 21st speech examples, coming up with fun 21st birthday games, and chatting with caterers about 21st party food ideas. 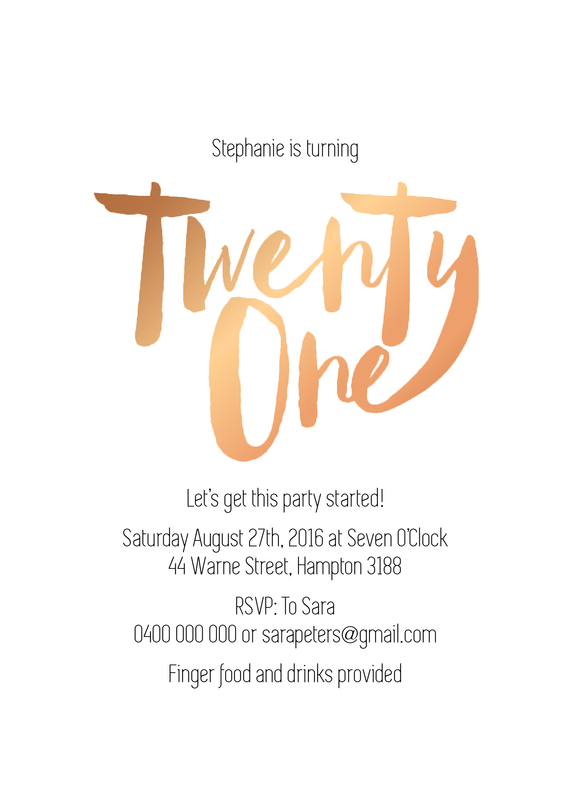 There's tonnes to plan for your 21st: luckily the invites are the easy part thanks to Paperlust. I never thought a simple card can be that glamourous! Thanks for proving me wrong.